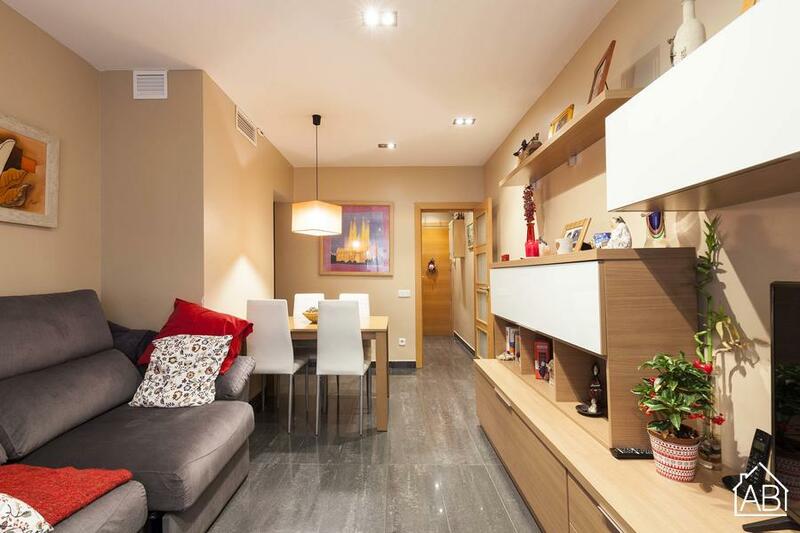 Situated just a 5-minute walk from the beach in the vibrant neighbourhood of Barceloneta, this 65m2 apartment has recently been renovated to a very high standard, featuring brand new furnishings throughout. Barceloneta metro station is just an 8-minute walk away and the surrounding area offers plenty of cafés, trendy brunch spots, bars, supermarkets, restaurants and activities. Additionally, the city´s Old Town is a mere 10 minutes away on foot, meaning that as well as the beach and the Mediterranean Sea, you have the history of the city and its top landmarks right on your doorstep. The stylish apartment has 3 bedrooms and one bathroom, accommodating up to 5 people. The rooms benefit from lots of natural light and plenty of storage space. The contemporary kitchen boasts extremely modern units and it fitted with brand new appliances. The apartment is also equipped with air conditioning and central heating , providing ultimate comfort throughout the year. An elevator provides easy access.